Is Periscope down at this time? 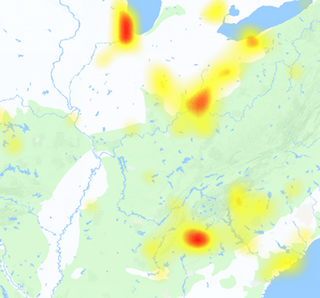 Check the current issues and problems with Periscope app with the outage graph given here. Periscope is a mobile platform to view the online video streams and for other broadcasting. It allows you to broadcast videos and also to discover latest and breaking videos streams. You can select a topic or location from where you want a live stream. If ever you missed a video stream, you can see the highlights of video. 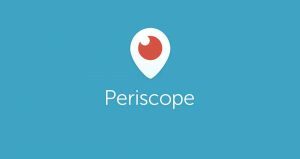 Periscope allows you to share the videos on social networks, you can also broadcast a video privately. Periscope allows you to broadcast a video to a specific list of friends or followers. The application is available for iOS and Android platforms. Moreover the app have many functions to block a specific user, Or watch it over Apple TV. On the other side the common reports we receive are related with error while broadcast. Unable to broadcast using cellphone data, unable to block a person etc. If you get any issue, be sure to submit that here. You can check out the common issues and problem from other visitors of this website. Furthermore the Periscope outage reports graph above shows you the current status of application. @mitchoates @zagat @amandaoleander @miragoto 👋 great to see you in our new iTunes video!